Luzula campestris is an early flowering, low-growing and tufted member of wood-rushes. 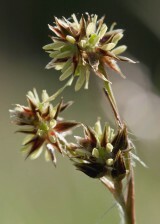 In common with others in its genus it can be distinguished from rushes (Juncus sp.) by the long white hairs on the leaves and on the sheath below the inflorescence. 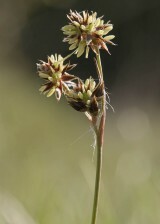 Field wood-rush is an attractive little Luzula with one un-stalked flowerhead surrounded by 3 -5 stalked heads. Each flowerhead is made up of 4 - 12 dark brown flowers with very conspicuous pale yellow anthers. Field wood-rush flowers between March and June and this early flowering gives rise to its other common name of Good Friday grass. 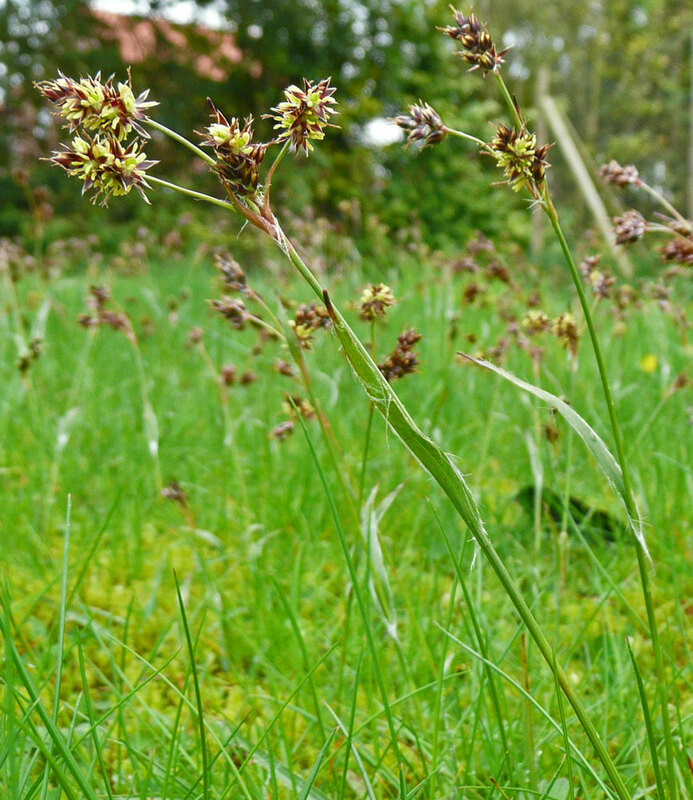 Field Wood-rush is a low-growing, rhizomatous, native perennial characteristic of short, open and relatively infertile grasslands. It prefers soils that are neither strongly acidic or very alkaline and can be found in a range of cut or grazed grasslands including lawns, golf courses, meadows, pastures and road verges. Easily sown from seed sown at any time of the year. 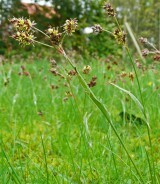 It will be lost if you allow grasses to grow to tall, particularly in spring and early summer. One established it should spread by creeping rhizomes.